Columbia Precast Products is the lone manufacturer of blocks from Stone Strong Systems in Oregon and Washington. Biggest blocks in the industry. With bigger blocks, you can cut down massively on your installation costs. After all, when your blocks cover more square footage, it means far less for you to install. Lighter and easier to lift. 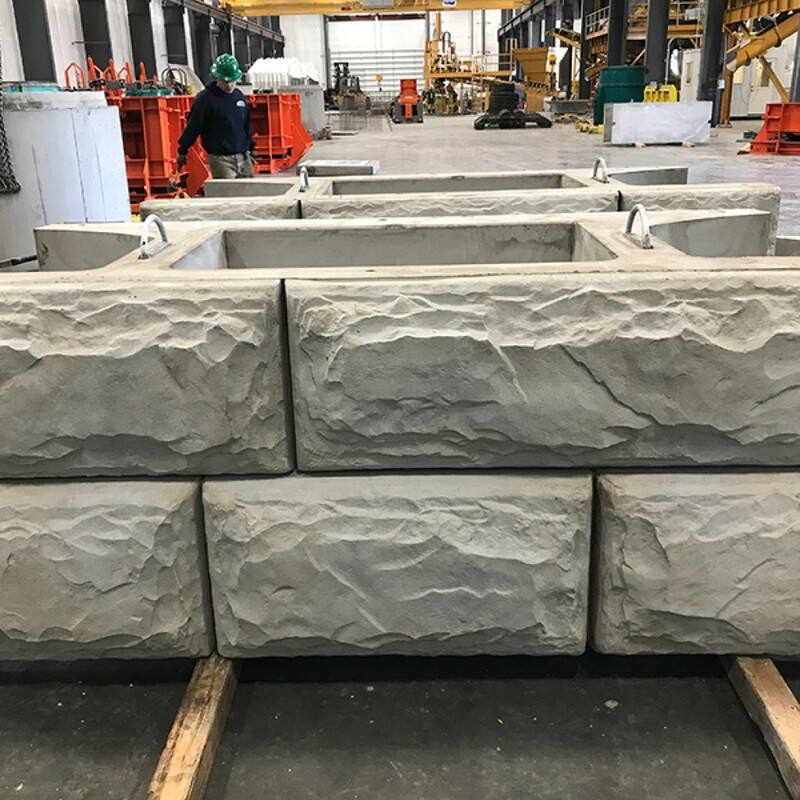 Stone System’s blocks are designed in such a way that makes them easier to lift; even though they’re bigger, you can still use smaller equipment to install them, given their lighter design. Aesthetically pleasing. Since these are going into office buildings, residential buildings and the like, you want something that looks good. 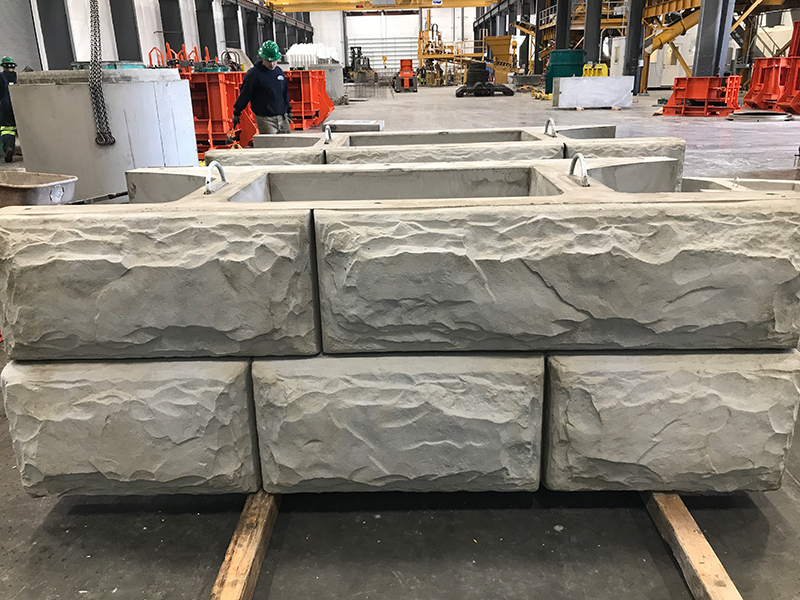 Stone System’s blocks come with four different form liners, giving you options for the overall look and type of concrete you want. Patterns include: (standard) chiseled granite, and (custom order) fractured ledge, split limestone and Tennessee foothills. Gravity walls can extend all the way to 20ft. After all, you want to minimize the amount of dirt and such you need to move around during a project. Gravity walls that can reach this high save a great deal on these types of costs. Blocks can be set in a radius – that means they can contour the landscape in concave, convex or circular designs. And straight, of course. We can manufacture all sizes of blocks for whichever type of project you’re about to begin. Our manufacturing process is SMaRT certified, making us the first precast plant in the Buried Infrastructure industry to earn this certificate. If you are interested in making an order for your upcoming project, you can give us a call at (360) 869-0332 or send us a message.